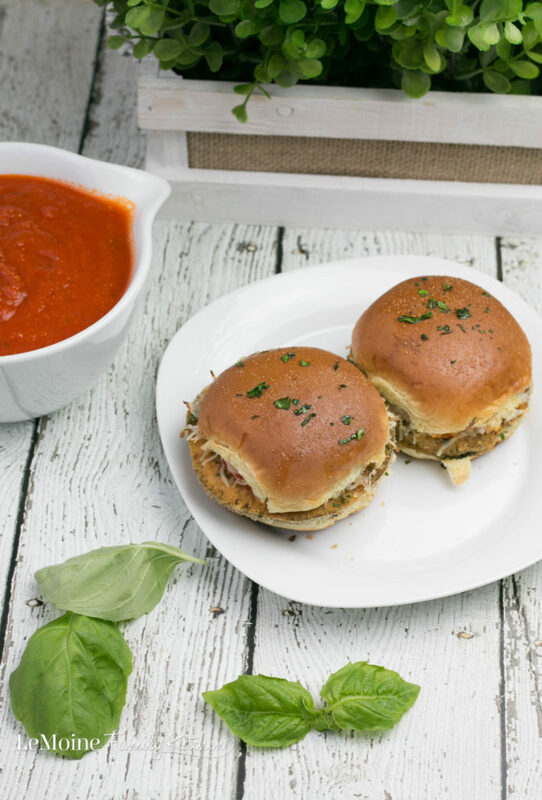 Eggplant Parm Sliders. Fun sized classic Italian sandwich. 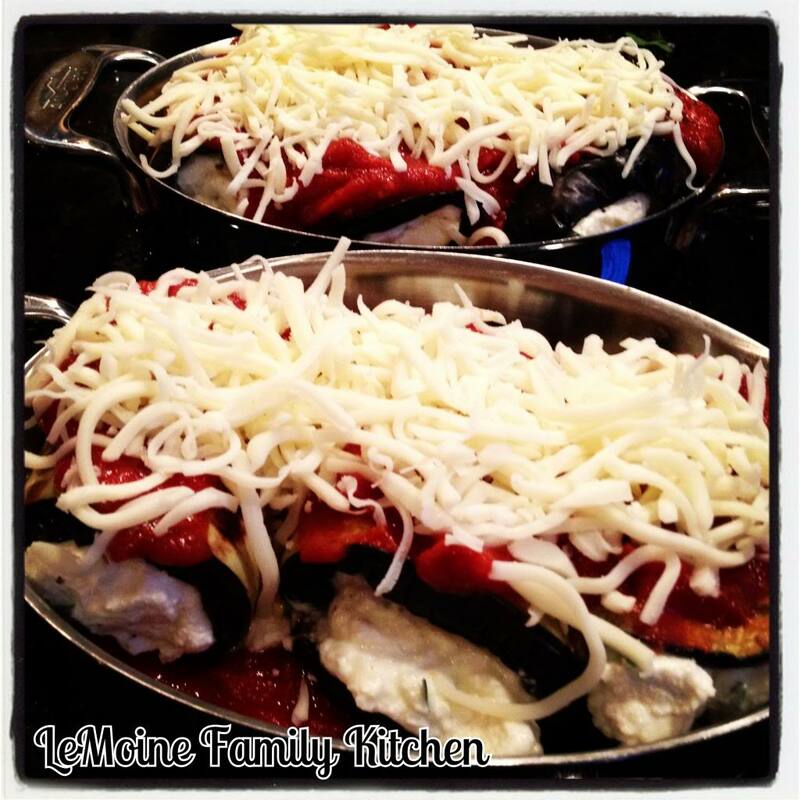 A quick tomato sauce, baked eggplant rounds and some shredded mozzarella. Great for dinner or as a party food too! Oh and those slider buns are brushed in melted butter and sprinkled with garlic powder and fresh parsley… AMAZING! I am really enjoying my garden especially the amazing Japanese eggplant. I prefer this variety of eggplant because there is minimal seeds and not bitter like the Italian eggplants can be. 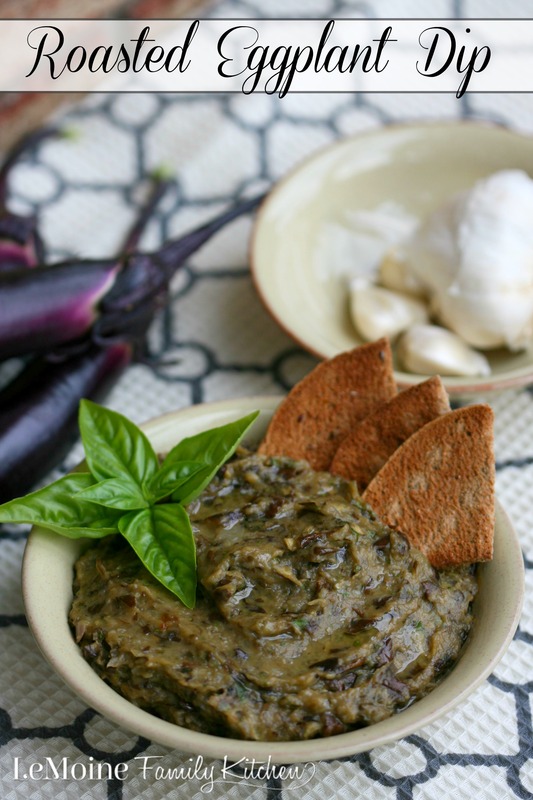 This Roasted Eggplant Dip is a favorite way to cook them up. This dip is incredibly creamy, flavorful and healthy! This is so delicious and simple to make that I am sure it will become a favorite of yours as well. 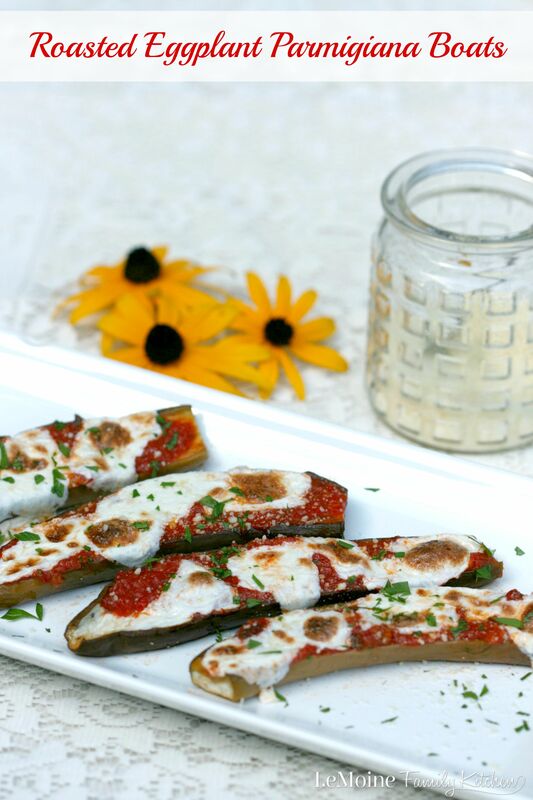 Eggplant rollintini is an Italian classic, one of my favorites! 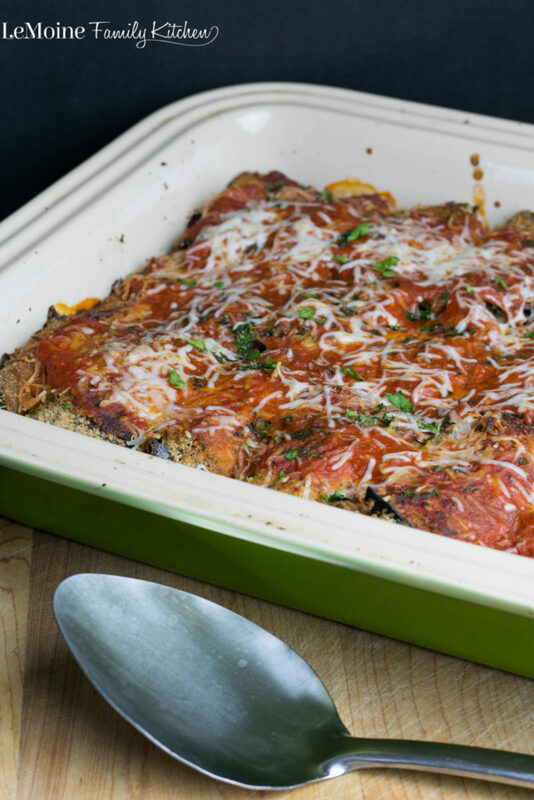 Its typically made with breaded and fried eggplant but I decided to lighten up this classic. 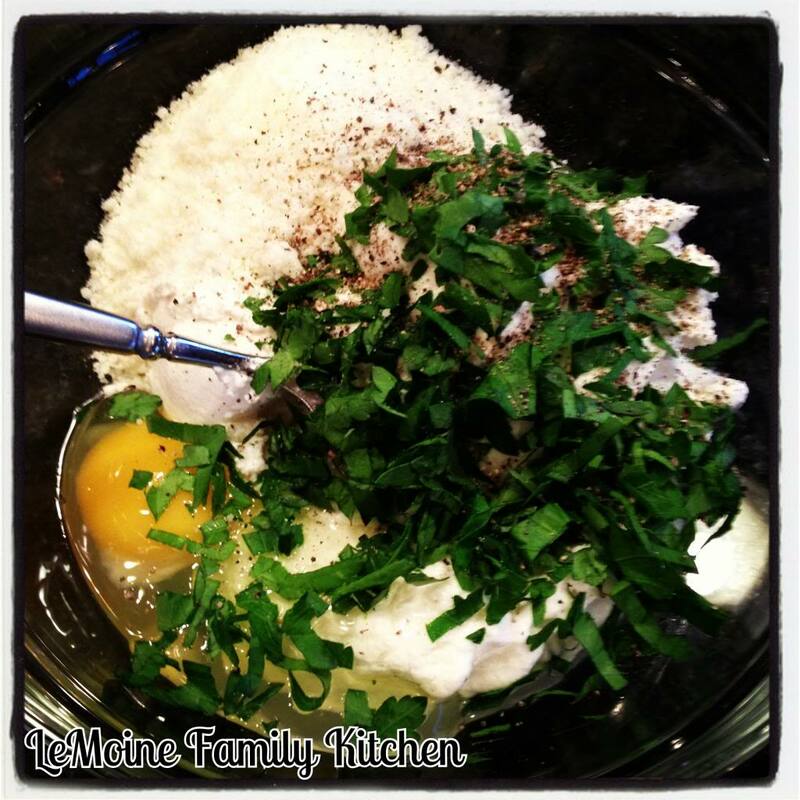 This dish is super easy to make, especially since we are taking out the whole breading process. 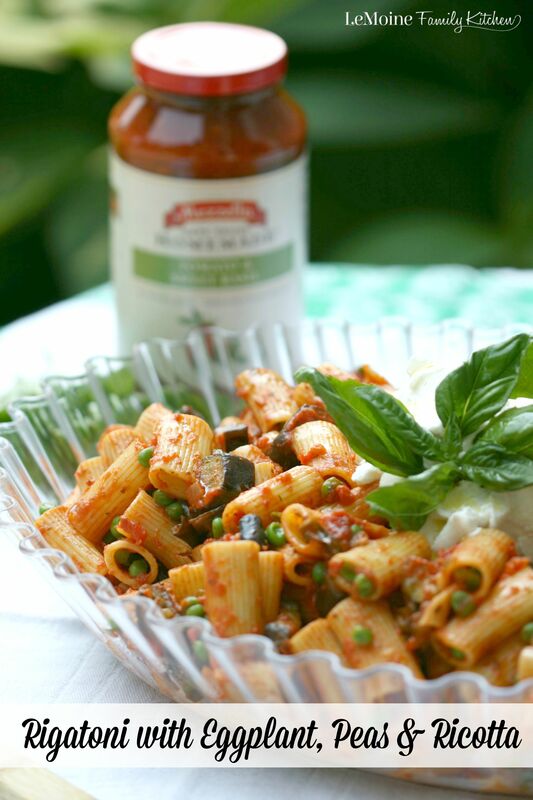 I had marinara sauce already made from Sunday, you can make your own or if you are in a pinch use a store bought sauce. My sauce is pretty basic; garlic and onions or shallots sautéed in olive oil, canned tomato puree, lots of fresh basil, salt and pepper. Let it simmer away for a couple hours and your good to go. 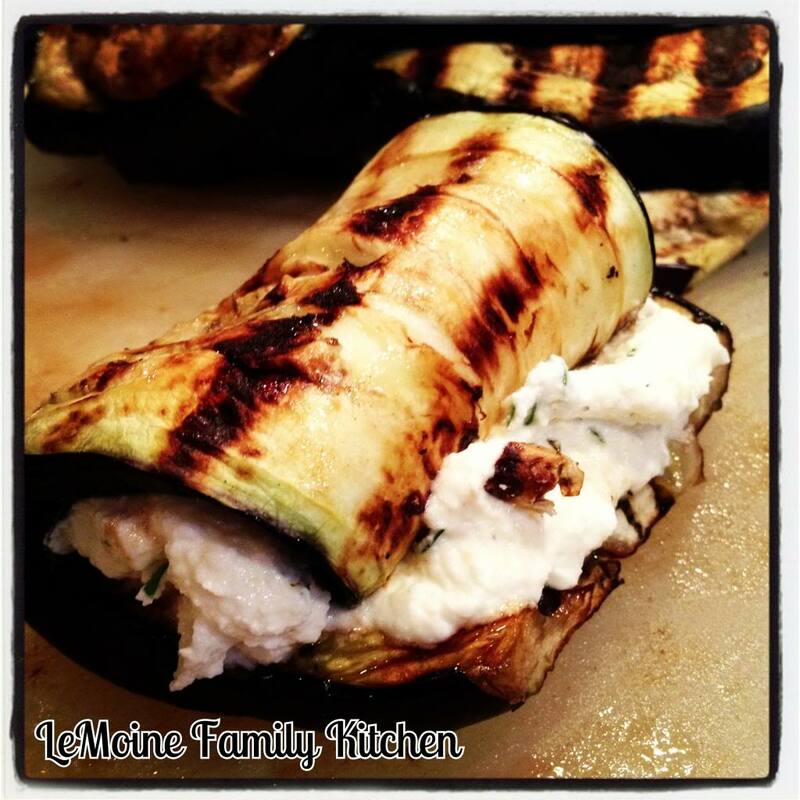 Here, the eggplant is sliced lengthwise, grilled then filled with a creamy ricotta mixture. Rolled up, topped with sauce and mozzarella. Its then baked until golden and bubbly. I baked mine in individual all clad baking dishes but you can certainly use a single larger one. This will definitely be a new favorite! 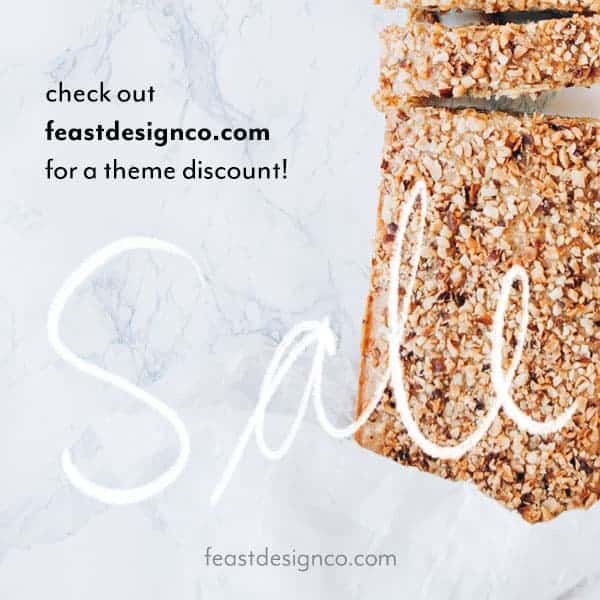 You certainly won’t miss the fried version! 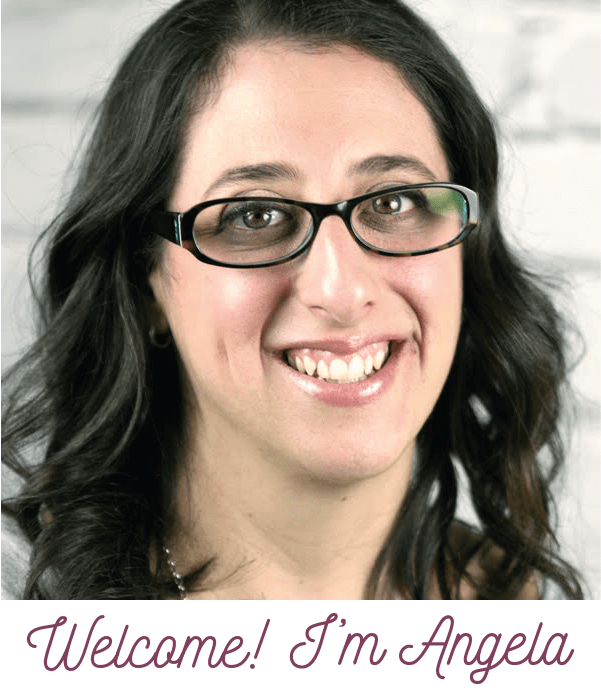 I served mine with a little bit of broccoli rabe on the side. 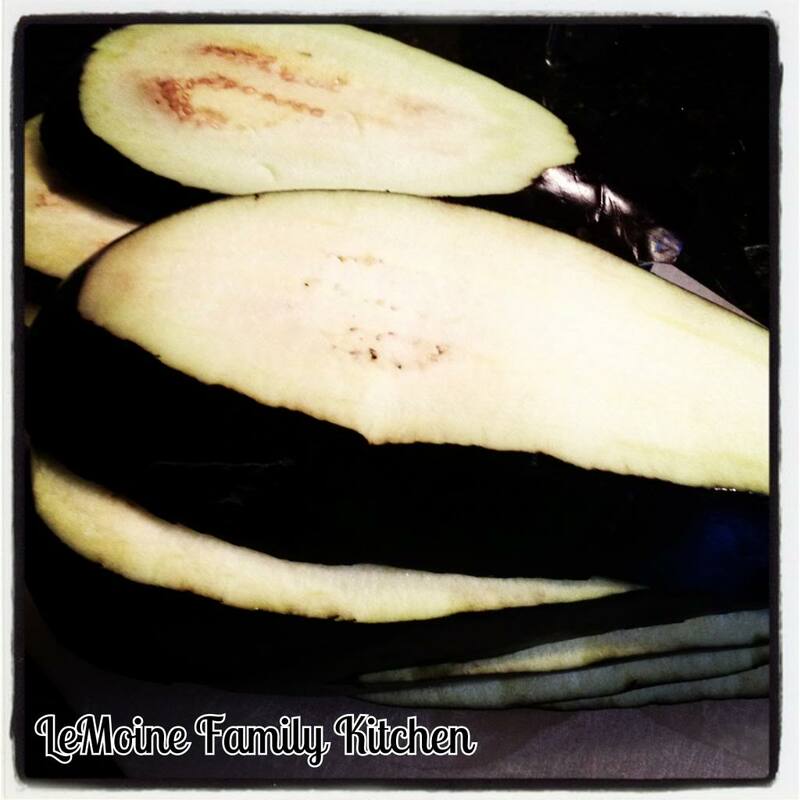 Cut the eggplant lengthwise into approx 1/2″ slices (I got 9 slices). The only skin I cut off is the very ends so that none of the slices have a side on skin. 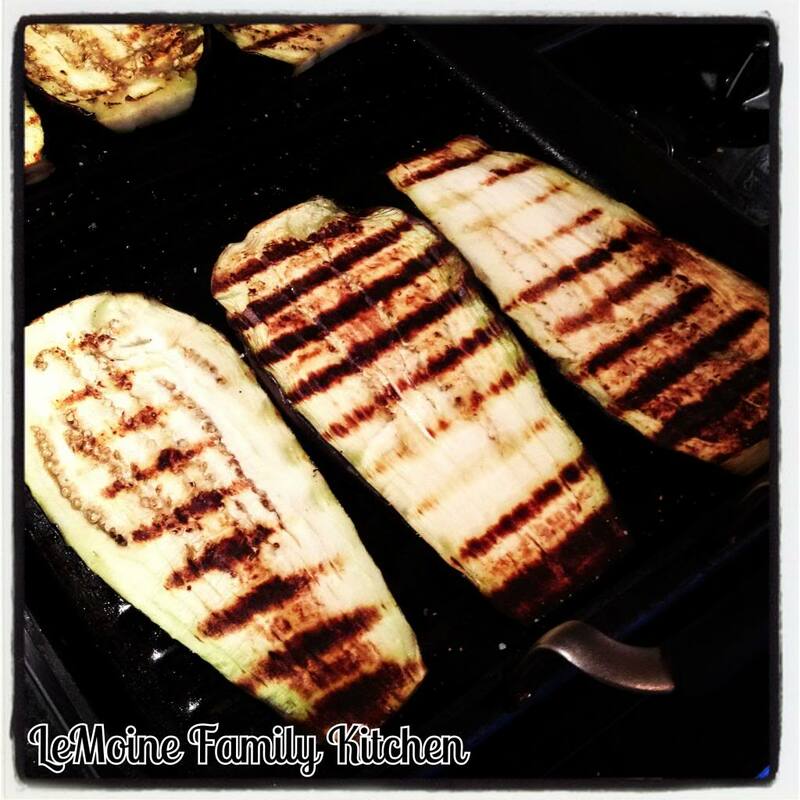 Using a grill pan, over medium high heat, place the eggplant on and cook a few minutes per side. Season lightly with salt and pepper. 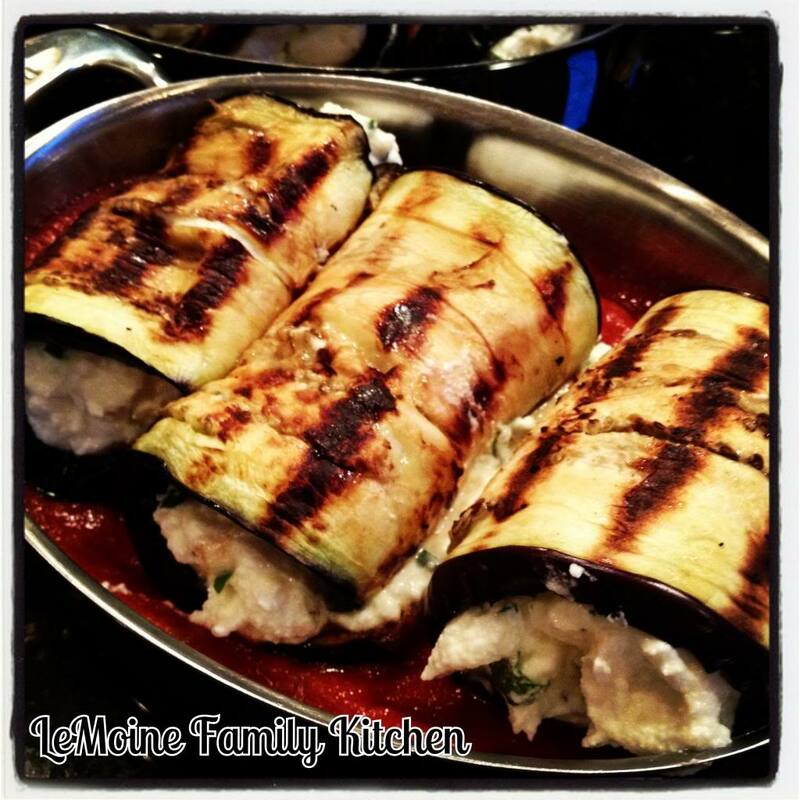 The eggplant will become softened, do not cook too long or it will fall apart. 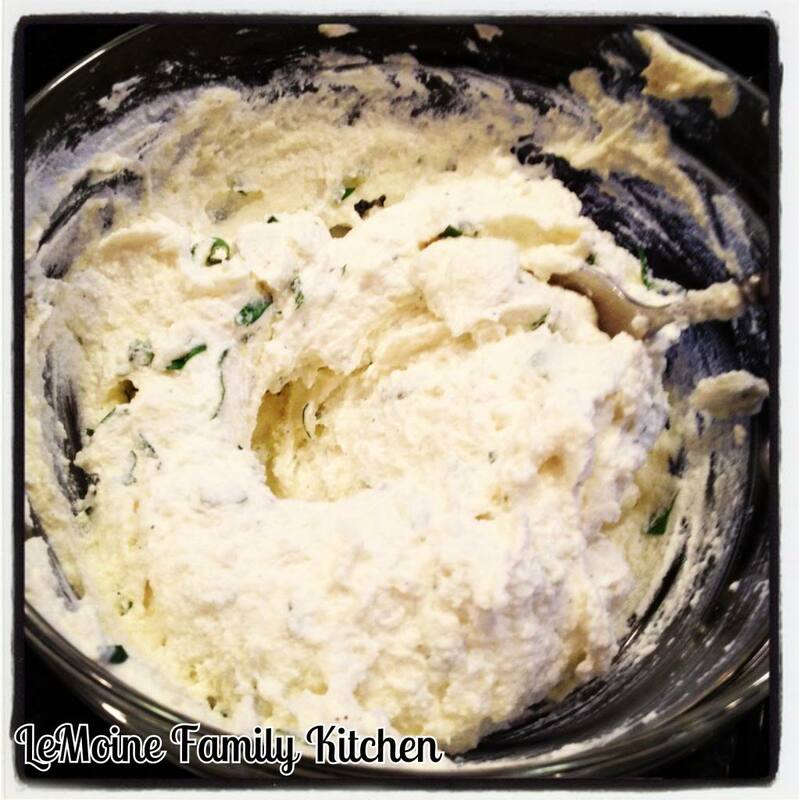 In a small bowl, combine the ricotta, egg, parsley and grated pecorino. Season with pepper. 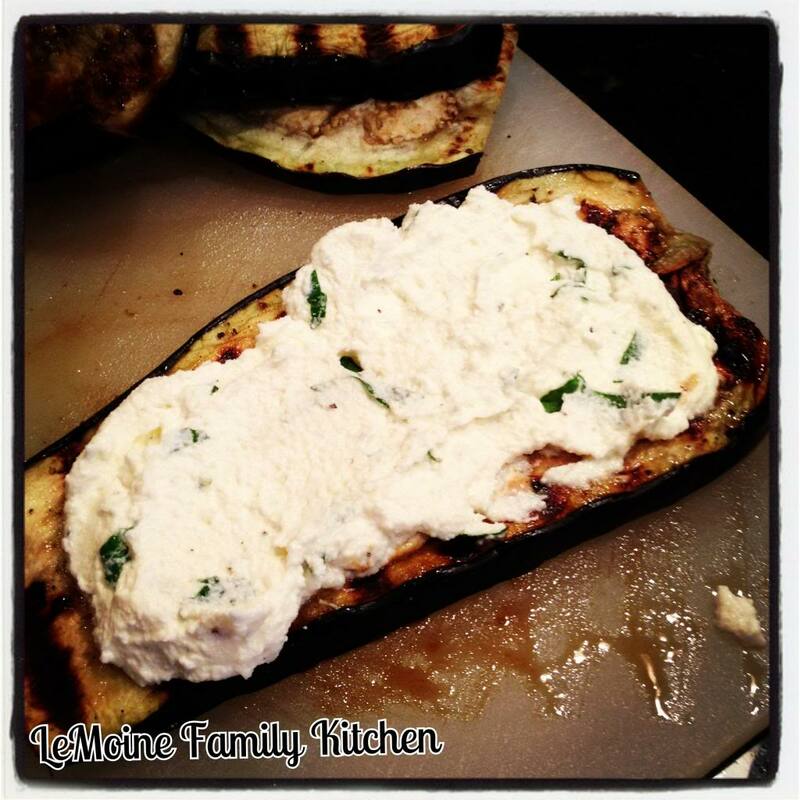 Slather the mixture onto each slice of grilled eggplant. 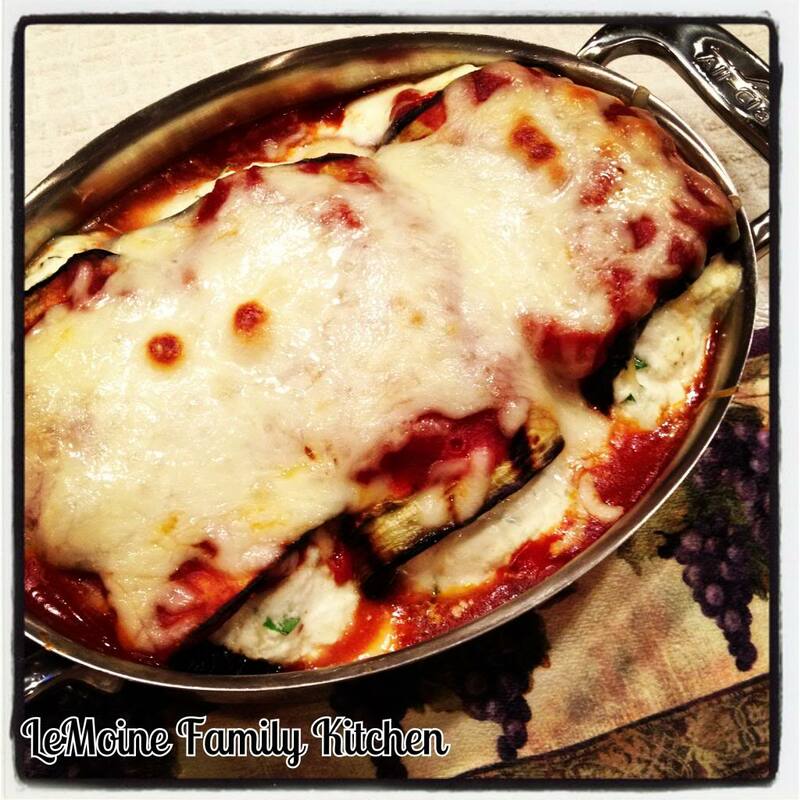 Roll up and place into a baking dish that has a thin layer of sauce. Top with a little more sauce and the shredded mozzarella. Bake for approx 20 minutes, until lightly golden and bubbly. 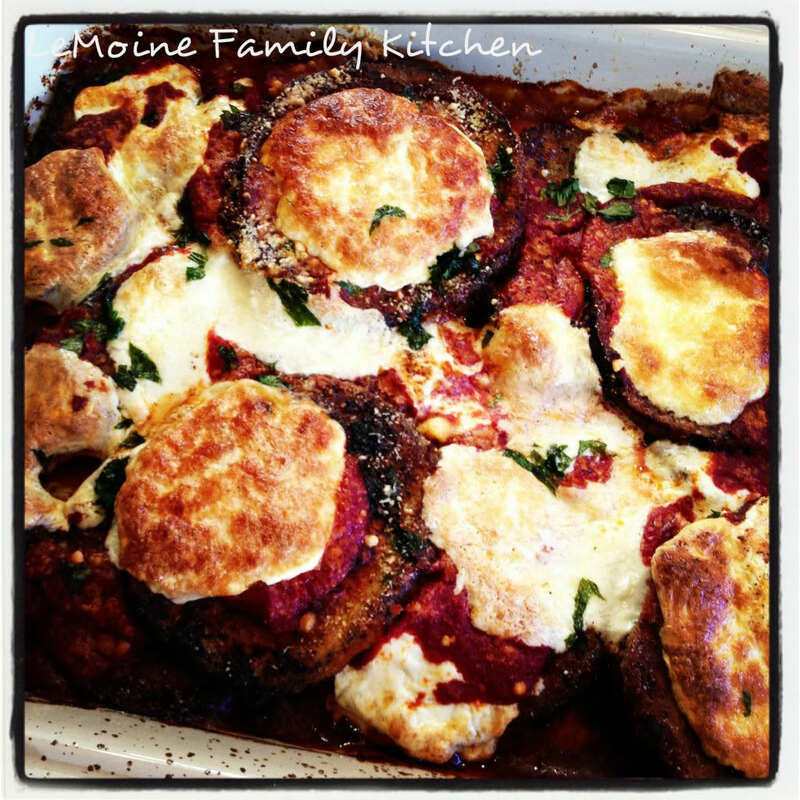 This weeks Meatless Monday happens to be one of my very favorite Italian classics, Eggplant Parmigiana!!! Whats not to love, perfectly fried eggplant, creamy fresh mozzarella and wonderful tomato sauce! This dish is a very simple layered dish but the trick is really in the eggplant. The eggplant is the star and requires the most time. 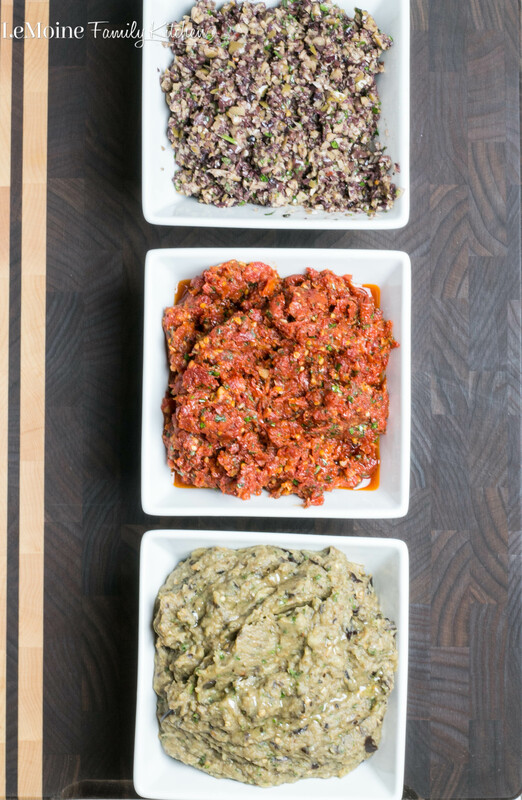 Once the eggplant is ready its just a matter of layering all the fabulous ingredients and baking away until golden and bubbly hot!! !